The Whip Tavern will be the site of the next “History on Tap” program by the Chester County Historical Society. Engaging history will be brewing on Oct. 23 at the Whip Tavern in West Marlborough Township. The scenic venue is a fitting backdrop for the latest chapter of “History on Tap,” a traveling program presented by the Chester County Historical Society that mixes history with the casual ambience of local bars and restaurants. This edition, in partnership with the Cheshire Hunt Conservancy, will feature David Shields, associate director of the Brandywine Conservancy’s Environmental Management Center and co-author of Catalyst for Conservation, the story of the 5,400-acre King Ranch property which once dominated East and West Marlborough, Newlin, and East Fallowfield Townships. The property was once home to 5,000 cherry-colored Texas steer before it was permanently protected by the Brandywine Conservancy, which engineered one of the largest private land conservation projects in Pennsylvania. Representatives from Mr. Stewart’s Cheshire Foxhounds, a Chester County equestrian mainstay celebrating its 100th anniversary, will provide a brief overview of their organization and its activities. The 30-minute program, which begins at 6:30 p.m., will be followed by discussion, Q&A, and good conversation. A great selection of beer and food will be available for purchase. The program is free, but space is limited to 75 attendees. Reservations are required by Oct. 18 and will be handled on a first-come, first-serve basis. Email rsvp@chestercohistorical.org. 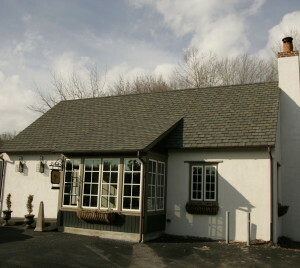 The Whip Tavern is located at 1383 North Chatham Road, Coatesville, 19320.